Hayden complains to Curtis that she&apos;s lost everything. She explains how Nikolas sold his shares to Jason. When Hayden adds that all she&apos;ll receive from the prenup agreement is $5 million, Curtis points out that&apos;s a lot of money and she should stop being greedy. 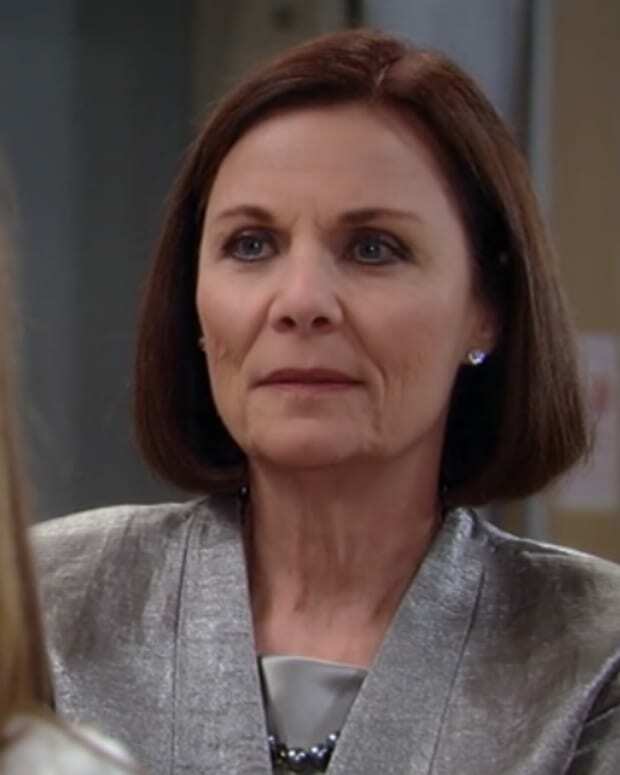 Tracy tells Finn that she&apos;s holding a meeting for the hospital board to have him hired for internal medicine. Later, Epiphany tells Finn about the Nurses&apos; Ball and wonders if he can participate. Dillon and Kiki talk while he changes the tire. He mentions how losing Georgie eventually led him to Los Angeles. Dillon says he was numb, but he survived, and so will Kiki. Dillon convinces her to stay out longer and get ice cream with him. Alexis catches the tail end of Julian&apos;s conversation and questions him about it. Julian claims that he hired a security firm to keep tabs on her since she is working on a high profile case with Carlos. Julian questions her about the new eyewitness and feels that it might be a plant. Alexis reminds him that she can&apos;t discuss the case with him. Once she&apos;s out of the room, Julian reads her report, then calls Hammer with the eyewitness&apos;s name and address. Jason and Sam get caught in a rainstorm and take shelter in a barn for the night, but they are not alone. Someone is watching them. Sam worries about Franco and what he might do to Jason. Jason promises to keep them safe. Kristina runs into a cute guy while visiting Morgan and the two make small talk. Later, Morgan asks her about it. Kristina explains what happened with Parker, and tells him that she&apos;s a woman. Morgan&apos;s more interested in the fact that he&apos;s not the only screw-up in the family. He tells Kristina that he doesn&apos;t think Sonny will care if she&apos;s gay. Tracy summons Hayden to the hospital so she can fire her in person. She introduces her to Finn. Finn gets angry with Hayden, saying he lost someone he cares about because of the Ponzi scheme. Hayden heads back to Curtis to complain some more. He tells her to lie low for awhile. FBI agents arrive to arrest Rachel Berlin.